An outdoor fireplace is the perfect addition to any outdoor living area--it’ll lend an ambiance to any outdoor get-together, greatly improving the atmosphere with its warm and inviting glow. But a wood-burning fireplace does have some disadvantages that many homeowners want to avoid. The smoke can be unhealthy and not environmentally friendly, and building a fire each time you want to use the fireplace can be difficult and inconvenient. 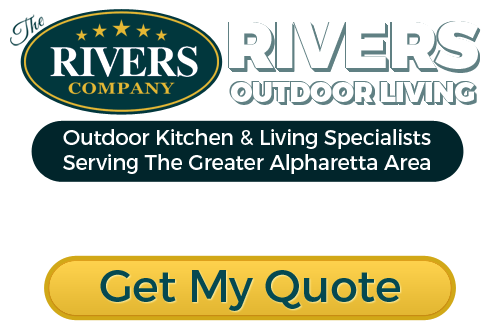 The professionals at Rivers Outdoor Living can install gas log fireplaces in Alpharetta for your home’s landscaping or outdoor living area, so you’ll get the same aesthetics of a traditional fireplace, but in a much more convenient form. Our professionals can design the gas log fireplace, work out the perfect space for it in your landscape’s layout, and take care of every aspect of the installation. Gas logs eliminate the dangers of flying sparks. They also dramatically reduce creosote build-up, which can be a major safety concern for your Alpharetta home. Gas logs are a great source of heat during a power outage, and they offer enjoyment year after year without you ever needing to stock up on and replace firewood. Gas logs burn much cleaner than wood, which decreases the chances of chimney fires and is much more friendly to the environment. Burning gas will cost far less than burning wood in the long-run. Your yearly costs of buying, stacking and storing firewood will be eliminated. There will be no need for yearly chimney cleanings, and gas is less expensive and more efficient than firewood. Alpharetta gas fireplaces provide all of the warmth and aesthetic beauty of a traditional fireplace, but they’re much more healthy, efficient, and cost-effective. 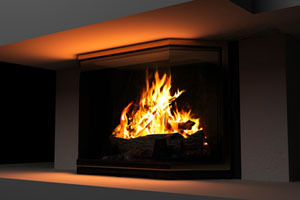 Our professionals can construct and install your gas log fireplace, making sure that you receive high quality materials and workmanship, and that the new gas fireplace is completely safe for use. We’ll make sure that all of the gas lines run are installed up to local codes and standards, and we’ll guarantee complete functionality of the outdoor gas fireplace. Our professionals are all licensed, trained, and experienced, and we’ll make sure that any of the work we perform on your Alpharetta home is the best it can be. If you are looking for a gas log fireplace specialist in Alpharetta then please call 678-366-2021 or complete our online request form.